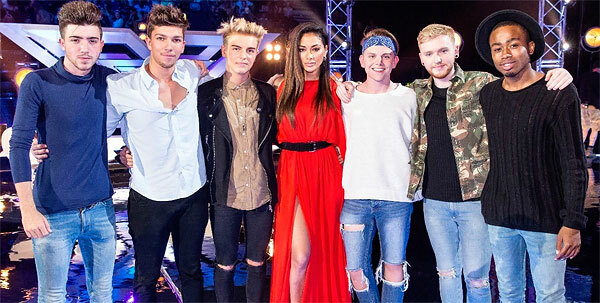 Last weekend’s six chair challenge was followed by a live episode of Xtra Factor that revealed a previously-discarded wildcard in each category. 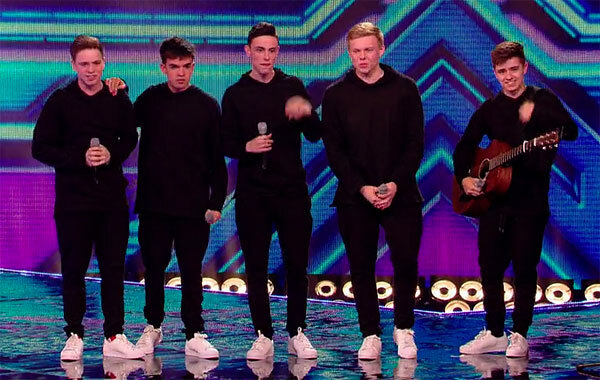 Among them was Ryan Lawrie, ditched as far back as bootcamp, and who – unknown to ITV viewers until now – had appeared with an unsuccessful manufactured boyband during the 6CC. In the rumours doing the rounds about who makes the live shows, Ryan had been one of the most surprising names, along with Saara Aalto and Honey G. With them both also confirmed as back for judges’ houses – the latter replacing Ivy Grace Paredes, due to visa issues – the rumours gained credibility. There’s still a mood of some scepticism in the Sofabet comments at the rumoured exclusion of Caitlyn Vanbeck and Christian Burrows in particular, both acts who have enjoyed lots of screentime and praise so far. But let’s not forget that the show thrives on a regular supply of controversial shock decisions at the judges’ houses stage – remember Jennifer Phillips last year? We should also, of course, note that the possibility of one or more wildcards into the live shows has not been explicitly ruled out. Anyway, for your Sofabet team, the highlight of the weekend was learning that Simon Cowell’s new 6CC compliment of choice is “sofa”. 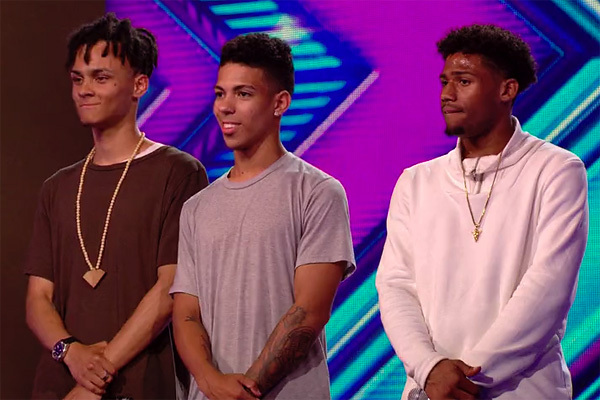 For our 6CC round-up, we’ll just focus on those making judges’ houses. Kicking off the girls category on Saturday night, Soheila Clifford continued to be secure in her abilities before launching into ‘Love Me Like You Do’, Louis admired her “confidence” and “arrogance”. In many years she’d be considered an ideal panto villain for the live shows, but – perhaps surprisingly – isn’t rumoured to make it. Nor is Kayleigh Marie Morgan, of whose rendition of ‘Somewhere Over The Rainbow’ Simon said “this was good, I don’t think it was fantastic”, and claimed he had been hoping for something a little more “adventurous”. Also showing nerves in the cauldron of Wembley Arena was Samantha Lavery, who, when asked pre-performance why she deserved a seat, helpfully reminded us of her grandad. Samantha lost her pitch at times. “You have no idea who you are,” Simon said. “You’ve over-styled yourself. The song was horrible.” Despite the criticism, he praised her “great potential” and “great talent”. She’s the wildcard for judges’ houses, and if rumours are correct the comeback narrative sees her into the lives – perhaps in a final edit against fellow big-voiced teen Caitlyn Vanbeck? Caitlyn herself won high praise for her rendition of ‘Rise Up’. 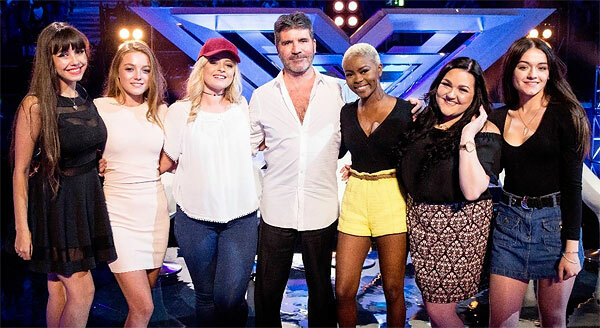 Louis said she was his “favourite singer so far”, Sharon loved her for being “so real”, and Nicole had been “moved”. 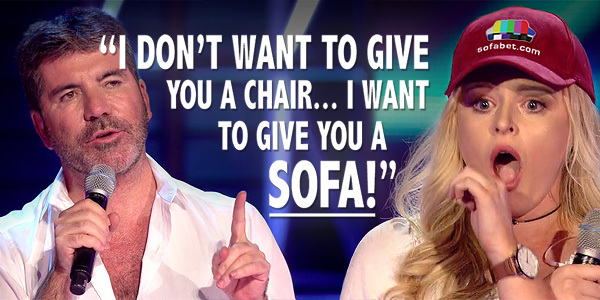 Simon said “I don’t think you’re aware how good you are”, before his “I want to give you a sofa” line. If you were looking for clues that Caitlyn might miss out, she didn’t get an intro VT like some of her judges’ houses rivals. Gifty had a brief VT before walking on to the strains of Fleur’s ‘Sax’, which we thought might be something to take note of in terms of how producers are seeing her. The Londoner showed a powerful, raspy voice that got overly manic once or twice during ‘Crazy’. Louis praised her “star quality”, and Sharon thought she was a “special gift”. Gifty took Samantha’s seat, though the choice to eject the latter was disputed by the other judges, particularly Nicole. Emily didn’t get a VT intro, but there was still plenty of build-up for the self-deprecating Scot who said “singing is all I do, and to be honest it’s all I’m really good at”. After her acoustic version of ‘Girls Just Wanna Have Fun’, her standing ovation was milked like no one else in the category – Louis was up on his feet urging the crowd on. The Irishman later called her a “find” (repeating what Nicole had said of her in the room audition – “a little find”). Simon said, “it was one of the best performances we’ve heard today”. Olivia Garcia got the pimp slot, from which she showed plenty of pluck for her tender years, but also some nerves for her version of ‘Changing’. Louis called it “flawless”, Sharon “incredible”, and Simon “outstanding”. If rumours are to be believed, she misses out to Gifty, Emily and Samantha. Which of these would be alpha girl is an interesting question, though Emily’s regional vote – in Caitlyn’s presumed absence – would see her starting out at a significant advantage. The first two of the judges’ houses crop to get seats are not among those rumoured to make it further. James Hughes romped around the stage while belting out ‘Proud Mary’ and winning praise as a “great entertainer”, while Nicole praised Niall Sexton for improving on her own version of ‘Run’, Simon adding that he has an “incredible voice”. The night’s big Matt Terry drama was kicked off with a bit of social proof from Nicole, observing “girls are excited about you already”. She interrupted Matt halfway through his Bruno Mars number to say he was singing a “half-step too high”. Unfazed, Matt responded “shall I try a half-step lower?”, with predictably improved results. This kind of thing always makes us wonder about whether the act was in on the script. Incidentally, we searched the Sofaweb to learn more about “half-steps” but all we found was Rick Astley singing Never Gonna Give You Up a “half-step too low”. Freddy Parker is rumoured to make it to the lives, but is already being edited like a gamma, with viewers being left with the impression that Amy Winehouse’s ‘Love Is A Losing Game’ is the only song he’s capable of singing. The Sun has since covered his “drink-driving shame“. We look forward to a week 1 rendition of ‘Fast Car’. Nate Simpson sang the better-known ‘Run’, Leona Lewis’s, winning praise from Simon as the “best yet”. But this was just the prelude to the big drama, with Christian Burrows getting the pimp slot for ‘Feeling Good’ and winning Simon’s praise for his “passion”. Nicole asked Matt Terry to sing again as she pondered who should lose their seat. Again, we can’t help wondering how scripted this drama was and who was in on it. Our best guess – and it’s just a guess – is that Christian wasn’t, but Matt might well have been. He certainly seemed more calm and collected than Christian, inviting the latter over for a mid-song embrace and making a point of running after him for another hug when Christian’s seat was confirmed. The edit had previously hinted at a bromance between the two, and if rumours are correct this would all appear to be leading to a final edit in judges’ houses which pits them against each other for one remaining place. Interestingly, on Saturday, The Sun had reported that Matt is still with the long-term girlfriend who’d provided his audition sob story by dumping him, although a “close friend” reassured The Sun that “she did split with him briefly”. Far be it from us to doubt that it was purely coincidental that the brief split conveniently happened just before Matt’s audition filmed. Hull landlady Samantha Atkinson kicked us off, after a reminder of her bootcamp bonding with Rebekah Ryan and James Wilson. Simon, who’d slapped the “pub singer” label on her in auditions, now praised her voice, saying “you have the opportunity to turn yourself into an artist”. James himself was the next of the judges houses crop to perform, telling the audience that he’d lacked the confidence to audition for years but at the age of 34 had thought “why not”. The likeable joiner had his guitar with him for ‘Trouble’, which had presumably been suggested to him so the “I’ve been saved by a woman” lyric could see emotional cutaways to Samantha and Rebekah. James still isn’t making eye contact while he sings, and if the rumours are correct that he fails to make it past judges’ houses, the explanation can only be that producers are nervous about a live show meltdown. But it’s also being rumoured that James might be parachuted back into the lives as a wildcard. We don’t know how much credence to give that, but it would make perfect sense to us – if we were producers, we’d want him to be part of the lives. Relley C described herself as “different” and bringing “fight” and “flavour”, before covering ‘What A Wonderful World’. Simon said it was “incredible”, but Relley’s lack of prior audition screentime means she needs a Fleur-esque change of fortunes to avoid an early exit if she reaches the live shows as rumoured. Honey G, aka recruitment consultant Anna Georgette Gilford, called herself a “massive innovator” and “the next Jay-Z” before covering Missy Elliot. It’s hard to know what to make of Honey, or the show’s persistence with her – as Simon put it, “I don’t know if you’re real”. The ever-present mirrored shades don’t allow us to make any kind of personal connection, and it would be a risk to carry those through into the lives, as Nicolo Festa could tell you. But opening up to The Sun’s Dan Wootton about a traumatic personal history and her dissatisfaction with being a businesswoman suggests that she won’t stay in character throughout, and that she wants the public to get to know the Sacha Baron Cohen behind the Ali G.
We were reminded that Janet Grogan fell at this hurdle in 2014 before the Dubliner VTed that doing so again would “destroy” her. Louis and Simon struck a disappointed note, though the latter later added that she was “potentially incredible”. If rumours are correct that further heartbreak lies in store for Janet, the former might have opined “you remind me of an older Melanie McCabe”. Self-described “snow fairy from Finland” Saara Aalto continued to be entertainingly kooky before Sharon sent her packing, saying she felt a “disconnect”. 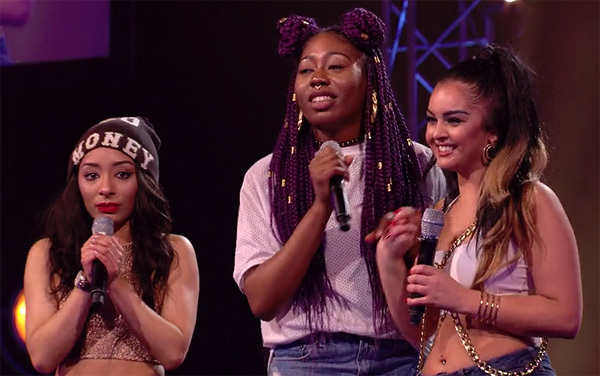 If we assume that producers had cooked up the idea of wildcards to judges’ houses before filming 6CC, but won’t have anticipated Ivy-Grace’s visa issues, they must have initially intended to permanently bin one of Honey G and Saara. Which was it? Saara appeared to be genuinely irritated by her refusal, storming back on stage before unwisely warbling in French and prompting Simon into a throat-slitting hand gesture. On this evidence, if Saara indeed gets to the lives, she should add to the gaiety of nations. Son-of-a-preacher-man Christopher Peyton won himself a seat with ‘Rise Up’, but isn’t rumoured to make it further, before Ivy-Grace won the seat from which visa problems would later see her ejected. Simon compared The Brooks to “wind-up toys” and questioned their “commitment and professionalism”, which isn’t exactly how you’d want to be treated at this stage of proceedings but still leaves plenty of room for them to put that right with a live shows journey. It’s always interesting to see how producers justify getting the joke acts into the live shows. Initially it looked like they were going to quietly smuggle Bradley and Ottavio in, putting them on early so they could occupy an empty seat rather than having anyone else kicked off, and putting it in the context of Louis being overly generous by putting everyone through early on. But no – and more on that later. 5am have now overtaken The Brooks in the betting, after showing off some slick dance moves for ‘How Deep Is Your Love’ and winning Simon’s praise for “putting on a show”. If rumours are correct that these are the three groups who make it through, which of 5am or The Brooks is being thought of as alpha group has to remain an open question despite the former’s superior treatment here. The edit at judges’ houses should tell us more. Sharon thought 4 of Diamonds needed more “sass”, while Nicole called them “classy” and Simon “really good”. Next up were likeable Liverpudlians Tom and Laura, who charmed with ‘Young Hearts Run Free’, Nicole talking about feeling “happy deep down inside” and Simon comparing them to “bread and butter” before saying his “heart” wanted them through. We’ll be sorry to lose them, if rumours are correct that we do. Yes Lad, “five normal lads” from “up the north”, unpromisingly came on to a chorus of boos after generous-Louis had turned into mean-Louis and broken the hearts of Girl Next Door. Clad in black, they covered ‘Let It Be’. Sharon praised them for turning around the “negative vibe”, Nicole praised their “solid” harmonies, while Simon said they were “old-fashioned”. Louis initially kicked off Bradley and Ottavio for them, which prompted Simon to tell him “you’re making a big mistake… five boring boys”? 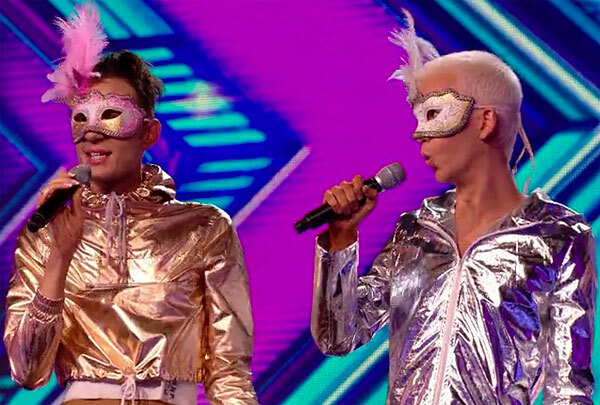 After the ad break, Louis demonstrated why he adds so much to the X Factor by hamming up the crazy-uncle schtick, first swapping Bradley and Ottavio with Yes Lad after claiming that Nicole and Sharon had changed his mind, then bringing back Girl Next Door, only to swap them out again for Skarl3t after the latter’s rendition of ‘Bang Bang’. As Louis brought the three girl groups back on stage to help him decide which one to jettison, Dermot deadpanned to camera “he’s like this in restaurants, you know”. Good to have you back, Louis and Dermot. As most viewers will have been putting the kettle on before Victoria by the time the voiceover touting the Xtra Factor said “we exclusively reveal four wildcards”, there will presumably be some surprise next week at the sudden reapparance of Yes Lad, Saara Aalto, Honey G, Samantha Lavery and – especially – Ryan Lawrie. What’s been going on with the latter is a particular puzzle. On Xtra we learned that he’d been boybanded after his bootcamp rejection. Was this, perhaps, an initial producer Plan A which didn’t work out for some reason? Or did Ryan’s romantic entanglement with Emily lead producers to think there might be a storyline there worth running with? By the time 6CC came around, they sent the boyband on stage with Ryan’s clothing making him stand out and the judges singling him out for praise, which suggests they had in mind at that stage to wildcard him back in as a soloist. Going into judges’ houses, Matt Terry remains the Betfair favourite, followed by Emily, 5am, The Brooks and Gifty. The next two in the market are Caitlyn and James – also the only two acts among those not rumoured to make the lives whom some punters are still willing to back at under-three figure prices. Do those punters know something we don’t? Time will tell. As ever, do keep the conversation going below. 158 comments to X Factor 2016 6CC: Sofa, so good – but will Caitlyn be Beck? So we know from the spoilers that Relley C (overs) is through to live shows what i cant quite fathom is why her audition hasn’t aired? Do you believe this is a positive or negative indicator? Someone’s posted very small pictures of the finalists’ “glam photos” (you’ll find the link on DS forums) and they seem to suggest that the spoilers are, unbelievably, correct. If they’ve got a chosen one this year, they are taking no chances this year! Though someone else is claiming that all 28 JH contestants had pictures done..
Sharon putting through 2 people she didn’t choose for Judges Houses in the first place, and Simon not putting through his favourite? Maybe even casual viewers will be wondering who really makes the decisions now. I was watching Xtra Factor this weekend (which has been far more entertaining than the main show this year) and I was looking to see which acts looked like they’d been through some sort of style overhaul as usually happens between JH filming and live shows. Most of the acts seemed as if they had been spruced up, but I noticed Gifty was wearing a remarkably similar outfit to what she was wearing at SCC, Freddy Parker’s silly hair had been sorted out, The Brooks looked more ‘on trend’ (and quite frankly, ridiculous) than usual and Bradley and Ottavion have had new hairdos. Whether this points to a makeover for the live shows or just attention from some stylists for the telly, I’m unsure but you’d think the wheels would be in motion for things like this now the live shows are just around the corner. DS really is annoying now with the amount of viewers that are in denial as to the true nature of the show. I guess the only silver lining is that it makes obvious how XF still manages to pull the wool over a decent chunk of viewers’ eyes – people delude themselves easily! The 6CC were the first programmes I’ve watched this year – as holidays and other things meant I’ve missed all the audition rounds. 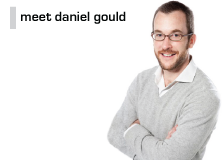 Well done to Daniel for making some sense of what at times appeared to be complete chaos. After a week trying to catch up – and yes that was hard going – I’m starting to pull some ideas together. I have to say that my first impression is that this year they are at least trying to make things less obvious. On the face of it even the favored contestants aren’t being given an easy ride. Last year Louisa had no story or journey – just week after week of being told she was brilliant – even on the weeks when quite clearly she wasn’t. By knocking people back it at least gives an impression that they’re not being favored – even if some of them – Matt in particular – quite clearly are. It also gives more of a chance for them to tell us that people are improving and developing. I’m not sure Matt’s second song was really any better than his first – but we were told that it was and that now from having let himself down he was fully deserving of his place. I’m looking forward to this weekend – not perhaps so much in the musical sense – but in terms of how deserving the final 12 are of their places and how they contrive to justify the choices. Thanks Daniel for your clear thoughts – and also David, just above, for pulling together something I had been noticing subliminally, but unable to put words to, so far this season. It’s as if they are trying to throw everyone off track in terms of the favoured one(s) this year. I am having the most difficulty reconciling the rumoured final 12 with its lack of Caitlyn. I don’t know if it’s important but her Facebook page claims she “started working at the X Factor” – a comment she herself posted on September 25th. If she had just been booted out, would she be making this comment, I wonder? It’s all a bit odd, to say the least. I don’t understand exactly what they are trying to accomplish if the final 12 is correct and there are no wildcards. Up to this point it felt like the main goal was a sense of fairness and improved ratings. The live show selections read like they shoved in a ton of chaff to smooth the course of their plan A… but who is the plan A anyway? Matt? Surely he isn’t worth messing up the rest of the field this badly, and not of interest if he can’t reach the top 3-4 against stronger competition. And is Caitlyn really not even worth a cup of coffee commercially? Maybe Caitlyn has proven to be ‘awkward’. Remember they are looking for a puppet who is willing to go along with whatever the committee decide is best for the brand. Anyone with their own opinion will be considered far too big a risk. And even if this isnt the case TPTB will ruthlessly cut you adrift once your purpose has been served. Just look at last year’s favoured acts from the auditions, boot camp and 6CC. Yes they made it to the lives but might as well not have done given the treatment they got. As for the sense of fair play and a ‘ratings’ series good luck with that theory. We’ll see how that pans out when the fodder start getting thrown under the bus during the lives. How has she been proven to be awkward? I didnt say she had. I said maybe she had. The point being that there are any number of reasons why TPTB might go cold on a previously favoured act between auditons and lives. There is something I’ve been thinking of when it comes to adding extra/wildcard acts to lives – if they don’t, with 10 weeks of lives we’re looking at a 3 act final with no double elimination weeks. Now if they’re going for a “classic” series that would make sense, but it just seems to me that it may be difficult to resist throwing in some kind of curveball in this regard. I’ve stuck a very very small amount on Honey G to win. I don’t know, I just feel like the absence of a strong (and obvious) winner makes it a slightest possibility that a novelty act could do it. Bradley and Whatsit won’t last past week 1, and I think it is entirely plausible that Honey G will be the last over standing, looking at the other two who are rumoured to make the lives. If I’m wrong, which I probably am, I haven’t lost much. If I’m right, I’m quids in. I have this feeling that there is going to be a lot more to her that hasn’t come out yet. No chance. #1 people won’t vote for her in sufficient numbers above proper talent and #2 it would make the franchise a laughing stock and the producers would destroy her rather than allow that to happen. Apparently Caitlyn forgets the lyrics tomorrow. There’s one explanation for her being cut. Sounds like they might be taking a look at Gifty as the alpha in the category as well. The spoilers are looking more and more reasonable all the time…. The last item in the DS article–Simon wants 5, so everyone else should only get 3. Shouldn’t he have said that everyone else gets only 2? Does this mean 3 plus 1 wildcard in each category? The Girls suddenly make a lot of sense with Caitlyn forgetting the lyrics. The Groups always seemed logical considering the attention the three acts got. Freddy Parker’s place in the competition still confuses me for the boys considering they’re more emotionally invested in Christian and Ryan has a very developed journey should they wish to explore it. I still don’t understand the Overs at all. Maybe the overs are the consequence of the ‘male only’ groups. I posed this gender question last week as a way of understanding the bizarre spoilers. I think it would have seemed very overwhelmingly male to have all male groups and a mix of male & female overs. Also, I really don’t get the hype about Sam A, she would have been a very similar type of female over to ones they’ve had before. James might have been too much of a risk in terms of producing a sat night performance. Surely Ryan wins this – proven talent, Scottish vote and producer favour, and all the dangers getting removed tonight. After that ex pop star won the voice it doesn’t matter that he’s been on stage before. He seems to be the star with guaranteed fan base that they’ve been waiting for, and they’ve got him in under the radar to boot. I think this is a good shout. At the moment seems likely a boy will win this and Matt Terry is actually quite mediocre and he’s been a bit too pimped. So it seems spoilers were true and (Scott) Ryan is still around 20, comparing to Matt around 5. That doesn’t make much sense to me. won’t people be turned off by his journey? He literally got rejected twice (bootcamp, 6cc with a group) and still made it to the lives. Judges Houses then! This is where I start getting properly involved. Hoping for a good season after a mediocre X Factor and Eurovision over the past 12 months. Welcome back to those of you who don’t do both competitons. BTW – any bookies got a market for who makes the lives? I think they’ll get away with the boys. I don’t think it’s any more controversial than the girls, with no joke act going through. I imagine Christian will be pitted against Matt for the final place. The overs, though…I hope they’ve braced themselves! Just from a personal point of view, I can accept Ryan going through. He had a good vocal and I can’t help but feel they were hoping he was going to be the Liam Payne in a new One Direction. When it didn’t work out they had to shoehorn him back into the competition somehow. It’s Freddy going through which I don’t get. I agree, they’ll get away with it with the Boys. The Overs will be a bloodbath but surely they’re expecting that? Yeah I don’t really get them putting Freddy through either (whereas the other two make sense). Perhaps he does well at judges houses though. I thought getting rid of Caitlyn was bizarre but it felt justified based on the performances tonight. It didn’t seem overly controversial but considering what’s apparently coming up that was probably deliberate. 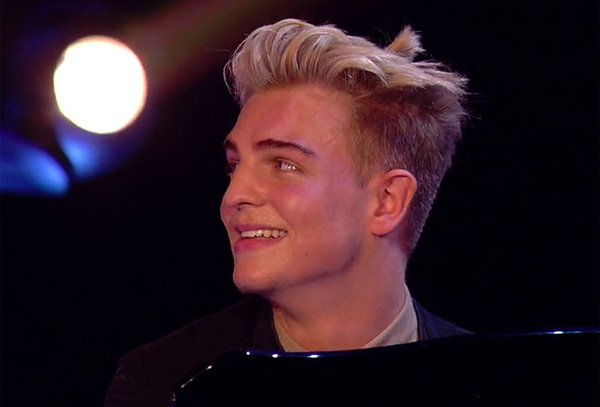 Bradley and Ottavio’s pathway through came across as best of the dross – a bit like Jedward’s advancement in series 6. Pitching them against Tom and Laura rather than one of the other groups also dulls down that feeling that they’ve ‘robbed’ a place. Caitlyn’s lyrics flubs was well edited and, again, the show pitched it well by lining her up against Emily rather than Samantha considering the former put in a very steady audition. Who’s Alpha, Beta and Gamma for each? The Brooks had a head to head edit with Yes Lad whilst 5am were shown singularly getting through, in other words not taking another act’s place; for the Girls Samantha was shown going through on her own whilst Gifty went through whilst Olivia and Kayleigh were being booted and, as said, Emily advanced over Caitlyn. I’m not sure if this means anything – I just wonder if the subconcious feel more inclined to support acts who do not appear to take someone else’s place? Probably not! As for actual coverage, I may have to watch back to see who was paired up and who performed ‘alone’. I think the edit was much improved this year by showing performances in their entirity rather than havign acts speaking over them. Thanks – I’ll need to watch it back if I have the energy to take it all in! Emily is performing Toxic by Britney Spears. She will be doing the Melanie Martinez/Alex&Sierra version, no doubt. Saw this with Emily – not a natural choice for her at first glance. In terms of alpha etc. I think the groups is more clear cut – 5am alpha as they were first to perform, not edited alongside another act during the performance or getting through and a large amount of coverage from the show so far. Bradley and Ottavio beta, as they have no chance of winning but would likely be kept around for ratings. Brooks gama – they were paired up against Skarl3t during their performance (i think?!) and Louis expressed a lot of doubt at their vocals when putting them through. Girls seemed a little less clear cut. Out of the three we’ve been left with, they’ve all had a similar amount of air time so far. Tonight’s edit for Samantha Lavery felt more alpha compared with Gifty or Emily – she had the shows pimp slot, and was given the make under story. That said, Emily had the misfortune of being put through as Caitlyn went home which felt like a slight injustice, but as stated above, Emily gave a good performance too. It’s only her complete disappearance throughout bootcamp which makes me think she’s gamma, making Gifty beta by default which makes sense as she’s been pretty middling in her treatment throughout room audition, SCC and tonight’s bootcamp. The editing was less obvious tonight though, there was no interjecting the performances with interview footage and it all felt a bit more fair than years gone by. Can’t wait to see how the Overs goes down tomorrow. Poor Relley C needn’t bother packing more than a weeks worth of stuff for her time in the X Factor house. They’ve hammered the ‘limited’ word, mentioned by Louis on the main show, twice in relation to the Brooks – even asking them about it then interrupting them to say they’ve had a name change to Brooks Way. Which sounds like some kind of soap opera. The name changes haven’t been limited to the Brooks… sorry, Brooks Way… though. Bradley and Ottavio have now become Bratavio (that good bacteria yoghurt) whilst 5am have become Five After Midnight. Night instead of day, not sure what it means but surely changing the name isn’t a way to connect to an act? Brooks Way have Cake By the Ocean for week one. tbf 5AM is literally Five After Midnight, makes sense in that lens. That said, it’s such a long name, will they call themselves FAM after a few weeks? It isn’t “literally Five After Midnight”. AM stands for Ante Meridiem, meaning before midday. My son pointed out to me that there is a fairly well known song called 5AM and perhaps it is more to do with avoiding confusion there….but to me it seems like meddling for meddling’s sake. I know what AM is. I’m just pointing out that 5AM is LITERALLY 5 hours after midnight. All the groups had to change their name last year too – I’m not sure on the reasoning behind it to be honest. Cake By The Ocean is a less-than-promising choice for the Brooks. Sorry, Brooks Way. If I could make a bet on them having staging containing colour vomit for it, I would. I think it was mentioned in passing by one of the twins that there may have been a copyright or something on The Brooks. The Bradley and Ottavio change is just creating another ‘Jedward’ moment. Have no idea why 5am have become Five after Midnight; the former is a much catchier name and easily to say. I can just just hear Peter Dickson running out of breath over the new name next week. The wild cards were rushed in with no fanfare at the start – makes me think this was a last minute decision. Why? To get Ryan Lawrie in after the failed boyband yes, but what about to get Caitlyn out? She looked to be sailing through as alpha, but suppose they changed their minds after 6 chair challenge, wanted a ‘conventional’ girl (and didn’t think Olivia was up to it) then drafting Samantha in was part of this. I thought they handled Caitlyn’s departure as well as they could; radically different appearance reminded us less of prior performances, we heard she was studying to become a teacher so she would be OK, and she wasn’t put up against Samantha. I didn’t see any signs that Simon’s going to drive to her house. It’s a long way north if nothing else. Agreed Cake by the Ocean seems a tough choice. The uptempo version with falsetto will expose the Brooks vocally and if they do a slower pitched down version we’ll hear about limitations again. It’s hard to see past 5AM as the alpha in the groups, and probably rightly so. I think their trajectory relative to the other categories will depend on how their front/backing man dynamic wears over time. As for Bratavio, we all know the score there, but I will be curious to see how much the show will invest in them if Honey G proves more a popular joke act. As for the girls, I’m not sure a guitar version of Toxic is a bad choice for Emily. It’s been very effective on competitions before. I did notice both she and Gifty got negatives relative to Samantha – in Emily’s case, limited upside, in Gifty’s case, weak voice. 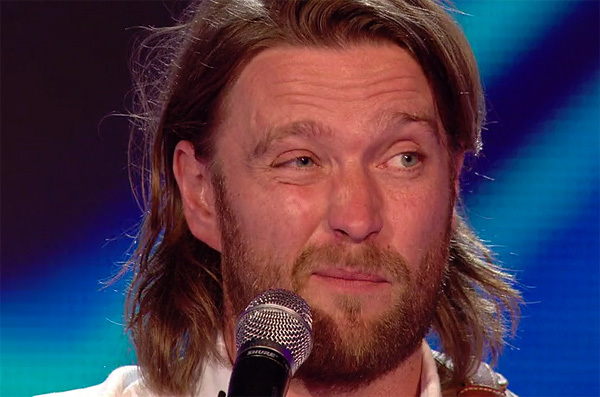 I think Simon may be working the late emerging star routine again, but it’s hard to be sure until the live shows. I think there’s a good chance all 3 girls will last a few weeks given how much filler is going to make the lives. It looks like poor Saara Alto is being shoved into the comedy foreigner character, and the hate figure for the lives, judging by the spoilers for tonight. They make her seem dillusional, and after her showing at SCC it seems likely that is what they have planned for her. That’s three spaces taken up by novelty acts now – surely we will be padded out by some more wild cards?! There seems to be more outrage over Four of Diamonds not getting through than Caitlyn. There was no agonising by Simon, no ‘this was a difficult decision’ etc. Also, during his discussion with the Spice Girls with the pictures on the table – whilst he was deliberating, he had two photographs in the middle of who were definitely through – Samantha and Gifty, whilst Emily was nowhere to be seen as he still decided. Confirms to me that Emily is gamma. Four of Diamonds could have been great to cut through all the sausage in the Groups and I think they’re the second best overall behind 5AM, so I understand the outrage. In contrast, the Girls felt more equal and Simon kept drilling that all seven stepped up their game. Didn’t notice the photographs; now I’m re-evaluating my analysis. The photograph thing may well be a red herring – but either way if any viewers were taking note of it, it does plant the subliminal that Emily is third best. As you say, she’s got the Scottish vote – thing is, would that be diluted by sharing it with Ryan? If he is indeed lined up to be a big player in the boys category, he would probably take the lion share of the young female Scottish voters leaving her fighting for the scraps. I’m not sure that Gifty’s skin colour would be a hinderance, i think more her gender and confidence. Whilst she has come across quite plucky and positive so far, her look isn’t conventional, her personality not quite demure and female voters may find that difficult to warm to. Personally, I think she is fascinating to watch – probably the most natural and marketable female they’ve had on the show since Misha B, but I don’t think she’s an easy sell. That said, neither was Fleur. Last night was my first watch. Seems to me that this series is as contrived and manipulative as any others. I agree Emily is pure cannon fodder. Girl with guitar is not a natural sell to the voting public and will be very easy to present in an unfavourable light by producers. If the spoilers are right then you have to say TPTB have done wonders in skewering a cross section of genders, skin colours and novelty acts in to the final line up. Gifty is easily the most commercial girl but I can’t believe TPTB think they could get her over the line. The other girl strikes me as cannon fodder too. Simon has already sown the seeds about her not knowing who she is blah blah blah. OVERALL, it will depend on how the first few weeks pan out. Samantha had a great “journey” from “having a mask” and being rejected initially to now so I see her as Alpha in the interim, but that can be pulled from under her at any time. I think Emily can supplant Samantha as Alpha but also fall below Gifty as Gamma. Progress made when Simon suggested that she’s not hiding behind her guitar but her kind of performance is easy to sabotage in the Lives. Being Ryan’s girl won’t help (or will it) but being Scottish(?) will. Initial thought is that Gifty is Gamma because her style is harder to drag through the lives if voters don’t like her (compared to Emily). I hate to say it but black women are a hard sell in these shows and she will have to be amazing like Alexandra or Fleur to be Alpha, but she can be Beta. It doesn’t help that her edit felt “third place” to me and her entry into the lives was shown before Kayleigh’s exit. Five After Midnight (I’ll call them FAM or 5AM tbh) has by far the best edit and their biggest threat (imho 4 of Diamonds) was sent home, so clear Alpha. That said, the name change makes me think they’re in for a rough ride and they may be dragged so Louis won’t be wiped out so quickly; they will need help to stem this tide. Brooks Way are Beta by default (I don’t assign Greek letters to joke acts if only because they tend to be evaluated on different standards until it’s time for them to leave); two things keep being brought up when they’re on TV: the fact that they look the part but don’t have the talent to become excellent, and that they were shafted by Louis in 2014. Their shtick would be pimped to the highest if this were peak-XF (think late 00s to early 10s), but wannabe Justin Biebers just don’t work now, even if the Biebs has evolved since the time wannabes flocked talent shows. Brottavio’s name is too clunky (compare it to Jedward) to stick to the public, but I believe they have better mileage as the joke act compared to Honey G (assuming she’s also through but what do I know). Their stupid chicken story made them a bit more “accessible”, compared to your typical Blonde Electra/Diva Fever, but overall treatment is key. A bit of female-wild-card-history repeating itself last night with Samantha Lavery reprising Monica Michael’s triumphant comeback song in last night’s show. I look forward to her singing a sexed-up version of a classic hit single in a wildly unsuitable outfit on the first live show. Yeah, Monica was what I thought of during that performance and it was all downhill from that song for her! Particularly with the focus on Samantha’s styling so far – after the massacre poor Monica was faced with at the hands of the shows stylists last year, i don’t have high hopes for Samantha this year either. Slavery = alpha girl for me. Whether they can sell her to the public is another matter. They put so much effort into Brattavio: choreographing them, auto-tuning them, scripting a comedy routine for them, and having pro designed and made outfits just for JH. (Not personally made with a glue gun as one of them pretended). I wonder if Saaara Aaalto, if through, will be the joke act that got away. IE becomes a serious contender. Like Rhydian I believe, before my time. She could be the best vocalist by a long way. With Caitlyn sent packing I feel the girls are looking like a dud category this year. In many other years all 3 of the girls chosen here would be the gamma girl, but obviously they can’t all be gamma girl at the same time! I hope we’ve all learned by now that to win as a girl in this competition you need to have a big belting voice (or be drafted into Little Mix). Arguably none of them have this, but certainly Emily Middlemas does not. 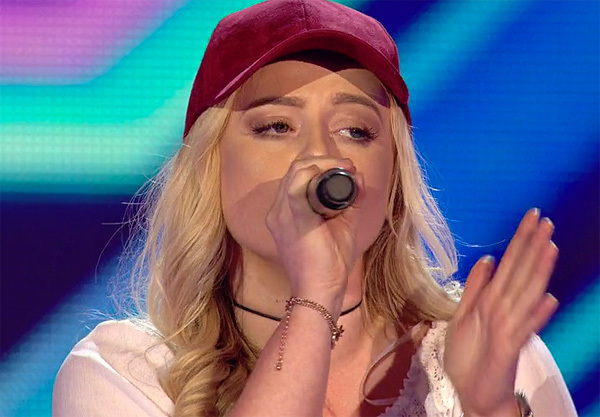 She is surely this year’s Janet Devlin/Abi Alton, and these acts do not win. 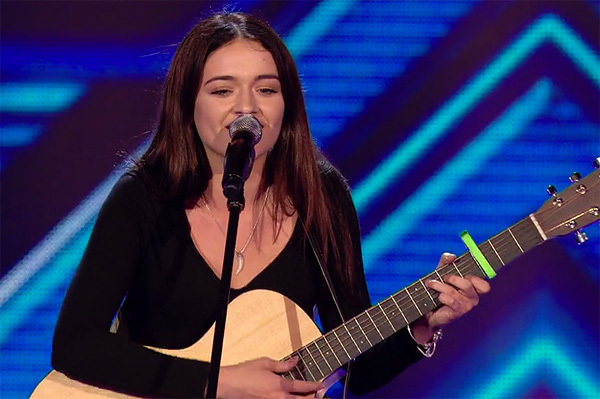 Samantha Lavery certainly had a good judges house edit, but I think that’s as far as it goes for her. She’s all set for a storyline involving what the stylists do with her I feel, and let’s just hope they don’t go the Monica Michael route! Either way, she will be jettisoned before the latter stages of the competition I think. Gifty has a voice that not unlike Fleur East’s, threatens to be big and powerful, but just doesn’t quite happen. Problem is I don’t think she can’t match Fleur in charisma and style. I see her as the gamma girl for now. So overall, I think there’s a simple point to be gained here. Lay the girls category. I don’t think there’s much risk in it. I think there are good intentions for the Brooks based on how they have been treated on the xtra factor live show. If you hadn’t seen the main show but only XFL you would think they were this year’s favourite. The Brooks have had more exposure than any other contestant. They played their 2nd audition song, 2nd judge’s houses song, interviewed and featured most shows after their 1st audition. They even sang live, the only other contestant to do that was Matt Terry. In their interviews they have always been allowed to respond to any “negativity” on the main show (Simon’s comment at boot camp, the “limited” comment last night). I think they will get favourable treatment without going over board and see how their target audience responds. No early signs of traction no big deal. Cake by the Ocean is a definite appeal to their target audience. Of course if there is some traction be interesting to see how they are supported and how that effects other contestants…. Problem is, only a small fraction of the audience watch Xtra Factor. I do think they are a commercial prospect – unfortunately, I don’t think their vocals are strong enough to get them far in the competition and if the show has long term career prospects for them in terms of using the show as a launch pad, regardless whether they win or not, flying them as under the radar as they have so far is a curious way to go about it. I’ve placed my first bet of the year based on last night’s show – Nicole as winning mentor. I just can’t see any acts outside of the boys as a potential winner. Bradley & Ottavio – joke act. The Brooks – mid ranking fodder if you ask me. Just not good enough to go deep into the competition. 5AM – Probably the best in the category, might make a final with good treatment, but not going to win. Emily – as said before, this year’s Abi Alton/Janet Devlin. Not a belter. Samantha – probably Alpha Girl, but have they given her too much of a journey already. Gifty – possibly my favourite act, but combination of skin colour/confidence doesn’t traditionally go down well with voters. Relley – early show fodder. Saara – too easy to play the funny foreigner/hate figure card on. Honey G – this will get old, fast. Presuming she’s in on it and plays up, could last longer than expected. I find the Saara decision even weirder after watching JH, I was expecting her to pull out a show stopping performance with praise but Robbie’s ‘I got a bit bored’ was damning, especially as they contrasted it with Saara thinking he was moved by her singing. I just don’t get it, purely for fodder? How much fodder do they actually need??? Well, exactly! They seem to have decided joke acts and harmless pretty boys are crucial for a classic series & gone in on that at the expense of everything else. She’s sung well in the past and the idea is that the audience believe they are making the decisions. If you subscribe to the theory of a chosen one (or ones) then almost everyone is fodder. But you don’t make them look like fodder before they even enter the lives – though they did it the last time Sharon had the Overs, with Shelley and Lorna. Actually 2013 was relatively fodder heavy as well though they had a reasonably clear Plan A with Tamera back then. No obvious joke act back then; just a lot of mediocre acts. But I think it’s the opposite problem- it highlights to the audience that Sharon doesn’t make the decisions. Saara hasn’t performed that well in a couple of rounds. The audience knows Sharon didn’t want her at jh and that Robbie didn’t especially like her. And yet the producers allowed it to play out that way? They could have at least had Sharon do a Louis and have her bring back either Saara or Honey G to make it slightly more understandable. They haven’t mentioned Ryan performing as part of a Group at the Six Chair Challenge on the main show. Could viewers see it unfair that he skipped a stage? I thought it’d be better to show every step so people can follow his journey. That’s a really, really weak line up! There’s no obvious front runner for me compared to last year. Makes it intriguing in a way but is there anyone there to draw the viewers in? One of the first things I read of Sofabet is the producers have to work along two lines – making an entertaining television show and trying to push acts for commercial purposes. This year it feels like they’re struggling to do either. Ryan’s singing One Direction’s Perfect next week. Very interesting that when Simon was asked about the ryan/emily romance that he said it would be dramatic when one of them had to go home. Is an engineered sing-off literally the main reason he’s in?? What can be even more dramatic is that both of them make the final. I know it’s a crazy idea but what if the plan A this year is to have a Scottish winner? No mention of wildcards on either the main show or Xtra Factor and they just advertised the spin off airing at 10pm so they’re not planning to add time to the main show at this stage. They could squeeze a 13th act in as the 1st live show last year was two hours as well but who would drum up enough interest to tune in if they did that? I find it very difficult to believe there won’t be at least one wildcard for the live shows. But it doesn’t look like we are getting four, as I think they’d need longer than two hours. Maybe later in the week to drum up some more tabloid interest? Monica wasn’t announced until the Thursday last year, but then they had an Xtra Factor show on that day to announce her on. 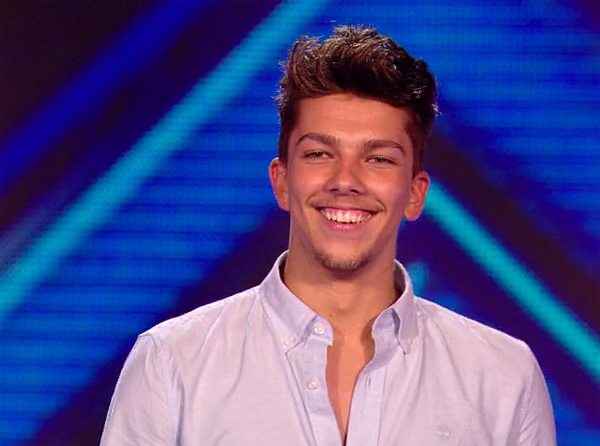 I don’t see anybody else winning apart from Matt Terry. Pimp slotted tonight again, with an emotional story and the best performance of the boys. Twelve weeks of piano ballads that the nans will love and the young girls will swoon over – his only competition is Ryan Lawrie that I can see. His voice is weaker, but i think he will take the Scottish regional vote, more so than Emily. i don’t think there’s much more to add to the overs than what has already been said. With no further whispers of a wildcard – after what happened with Maloney, i think we can discount a public vote for a wildcard. With timing restraints, one per category seems unlikely so at best we have have a similar situation to last year when a random one is chosen. Weird show tonight. Sharon seemed undermined throughout, putting through acts which she clearly didn’t favour, Saara in particular. Everything they did last night seemed to be to smooth the rough edges, tonight they were exposed. 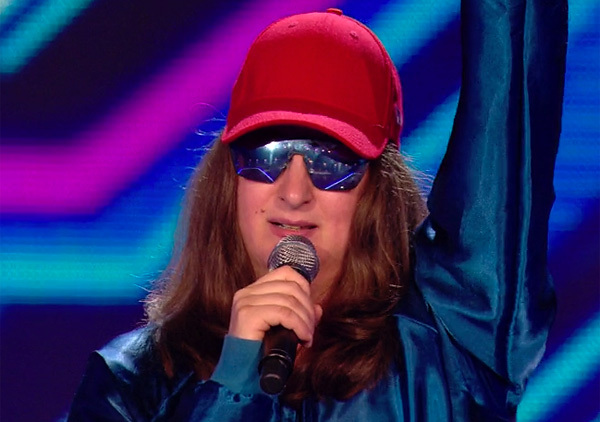 Could they find no stronger part of Honey G’s audition to show? Sharon’s going to be a joke judge for the whole series unless something changes. And hard to see how any of her acts go into the lives in good shape. My only idea is that they want the groups to go far, so are offering up several weak overs, but why give the groups to Louis then? The boys made some more sense. Matt Terry impressed much more than the others, I don’t get Freddie at all, and Calvin Harris looked pretty underwhelmed. Unless Ryan Lawrie wins the whole thing, he’ll join Ashford Campbell in getting rejected 3 times from one series. Have to put Matt Terry in a good position, 5am and Sam Lavery might go far, not sure beyond that. I wonder whether the producers feel Louis needs some respectability after his sacking last year and therefore have given him the opportunity to get to the final with, I assume, 5 After Midnight. The other three judges have won three of the last four series so have some recent pedigree whereas Louis hasn’t won since Series 2 and has only been given the opportunity to have sporadic ‘success’ since then (JLS in series 5 and Nicholas & Luke in 10). Simon spoke on Xtra Factor tonight and says he feels Louis has a good category away from the Chicken Licken twosome so I think they’ll be pushing him to have a finalist along with Simon – who I can’t see going two series without someone in the top three – and Nicole. Sharon will be out early. I’m pretty sure Matt and 5 After Midnight are earmarked finalists. The Alpha Girl isn’t so clear; I’m swaying towards Samantha but the similarities made between her and Monica is making me a bit nervous in that regard. Saying that I can’t see Emily being any more than an Abi Alton at worse/Janet Devlin at best whilst Gifty hasn’t had that breakthrough moment that Fleur managed at Judges Houses to gift (no pun intended) her producer favour. I’m not sure what the appeal for 5Am would be .. They’re not cute *Only the lead singer is a little bit* but not enough to get girls going crazy for them .. I’m also sure neither nans nor middle-aged women will love them .. Their vocals are not strong.. Only thing about them is they can dance ! You’re saying “Janet at best” like it’s weak. Did you forget how much effort they made to kill her off? A “Janet” with helpful treatment will win the show. Sharon’s also been extremely dull all series. There’s no point in her being on the show when she’s like this. Either Saara will be a “dark horse” that leaves Week 7/8 or they’re planning to go far with Honey G (bad news for the joke group) because Relley C won’t cut it as Alpha. I think Honey G is definitely Alpha given the effort they’ve put in with her so far, especially relative to her ‘talent’. I don’t think there’s going to be a wildcard. They’ve already done that for this series. As much as I think missing out Caitlyn, Christian and James is a mistake, it’s obvious that they want Matt to win so they’re not going to give him any competition now. The final 12, as it stands right now, doesn’t seem right to me – it’s rather flat and padded with a high proportion of unexciting acts. It just feels to me as if something is going to change the line-up, at some point. In a post on DS, it was reported – who knows if accurately or not – that Simon had promised to do something they ‘had never done’ before in this series. This was followed by a number of sarcastic suggestions as to what this ‘surprise’ might be (my favourite was ‘ban Whitney’). If he really did say this, it can’t just be a wild card or a number of wildcards parachuted in, because that’s as old as them thar hills. That said, I am still expecting Caitlyn to make a surprise reappearance, given that her second Facebook account has the post, made on 25th September, that she is “starting work at X Factor”. Surely by 25th September, she would have been through JH and know she was out? Her main Facebook page acknowledges that her dream is over. Is the other page perhaps fake? Or does it tell us something we should not know as yet? I couldn’t bring myself to watch the boys last night after the weird debacle of the overs. To use a favourite phrase of Mrs O, there seemed to be a massive disconnect between the actual performances and who was put through. It cannot be good news for Saara Alto that such a carefully edited criticism of her, voiced by Robbie W, was left in despite her going through. I do think there is a good chance that Louis’ price for returning to the show after his embarrassing sacking last year was to be given the winning category. While it’s hard to imagine everyone’s least favourite bumbling uncle being decisive or strong enough to make such a demand – or indeed that anyone would listen to it if he did – I think the uncle shtick is an act (showing a very flexible ego on his part). He is probably capable of being someone very different. I like Boki’s idea of having Emily and Ryan face off against each other in the final. If the producers haven’t thought of this already, they should! However, if that were the plan, they would have had to do quite a bit of rearranging at a later stage than I imagine is usual, to make that option more probable. Which actually they did with the whole Ryan saga. On the line up as it is, my guess for final three is Five After Midnight, Samantha and either Matt or Ryan – not having seen the boys’ JH as yet leaves me undecided between these two. I don’t see much rearranging needed. Girl with a guitar wasn’t a success because there was no tptb support. If they can make Lmix win and push Fleur to the final I don’t see why Emily can’t be there, especially with a regional vote as an extra. The real question is are they thinking of that scenario or not. By rearranging, I included getting Ryan in the final 12, a plot which creaked very loudly indeed. I also think in another year (as already happened), Emily would be pushed out by the likes of Caitlyn or another stronger voice. Girls like Emily don’t usually make the final so that would also be an uphill battle for the producers. But as I said, I like your idea, I think it’s intriguing and I definitely wouldn’t rule it out. I’m just saying that the statement “Girls like Emily don’t usually make the final” is very dangerous and can be turned around more easily than many think. 2:50 onwards is quite revealing: “the public want to see you” and the “come and talk to me moments” suggest Emily is Simon’s alpha. The segment also fits her 6CC treatment where she was given the standing ovation with uplifting music after her performance. It’s also fairly clear that boyfriend Ryan was brought back for narrative rather than talent. If they do end up in a sing off as Boki speculates – barring any change of plan – I do expect Emily to stay over Ryan. Just imagine the sympathy for Emily after losing her boyfriend. Either works for me, Boki, though I find Ryan’s vocal range quite limited. If Matt is TCO, it would suit them to keep both Scottish acts in to split the vote. I suspect they’ll struggle to keep Ryan in that long, but let’s see how much vocal assistance they give him. Definitely see your point although I still can’t imagine her getting to the final or being the Alpha in the category. Call it a failure of imagination if you will. I think the love story will be milked for as long as possible but I remain dubious about the idea of them getting to the final together. Time will of course tell. Anyway, good luck if you decide to back them both! Actually the amount of blinded people is not too big since the market has her (imo rightfully) as a 2nd favorite. Sorry, I didn’t mean people in the market, I meant people on this site who call her gamma :). Yup, agree with market too. I think that it is limited versatility rather than limited vocal range which is more of a problem for acts – it’s the stick they often use to beat acts with – even when it’s them imposing the limitations. At the moment I see this as a real problem for both Ryan and even more so for Freddy who seems to be a real one trick pony. As Henry points out we know there’s more to Emily than we’ve seen so far this series. If she does get criticized there’s a good chance she can pull out a different performance the following week (probably to much acclaim from the panel). I don’t see this potential at all in the two boys. Emily could be the dark horse. Depends if the producers are up for it. Abi and Janet only left the competition because they got royally nuked, Janet especially. Will she go under the bus, or get to ride on a bus? I must stress that I’m only saying Emily as gamma based on what we’ve seen so far. We’ve had limited material with Emily to invest in compared with Gifty and Sophie so far this year. however in terms of potential, i do believe there’s scope for things to change. I don’t see any of the girls winning the show at present. Also going back to xtra factor, Emily mentioned that she would be playing her guitar this weekend, and tried to elaborate to say what I am going to speculate that she may not be doing so afterwards, but she was cut off by Rylan. Random fact I love so much: Calvin Harris first showed up on XF in 2009. Is there a good example of a regional vote in the free app vote era? To me this year looks a lot like last year in that there is eleven acts with a drawback that limits their appeal and only one likely winner, Matt Terry. There’s one big difference with last year and that is that they’re not playing it as they always have. Caitlyn had TCO treatment all the way until she was dumped at JH. (It can be argued that Matt was second but I can give several reasons why he was subordinate to Caitlyn). So maybe expect the unexpected. Which in theory works but I can’t understand what’s so special about Matt that they’d bludgeon the only bit of the show left on life support to get him over the line. Louisa, although I know some struggled to connect with her, I could understand but Matt? Gifty, 5am, possibly even the Brooks, in my mind, have more commercial potential than him. He looks slightly like Louis Tomlinson… that’s nice but hardly a dealbreaker. I’m not denying that the show have clearly pushed him and he is going into the lives in a very strong position but to destroy the Overs, lose the one boy viewers have a vested emotion in with Christian, style Caitlyn like Jessica Rabbit and strip away all of her identity even before she sang… all because of him? To quote Louis Walsh I just don’t get it. Not that I can think of. This is disregarding BGT because I don’t remember all of the acts so well. But certainly on X Factor – I’m not sure that the places you’d assume would have a regional vote have had somebody to show up for? 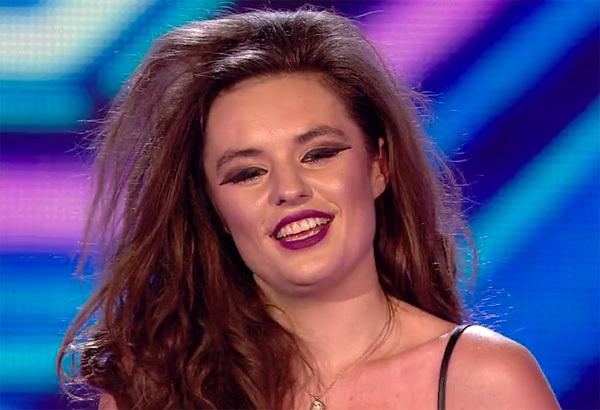 The only act I can think of in the past two series was Kiera Weathers and she barely had an accent and her Liverpool roots were barely mentioned and so the Scouse vote remained unmotivated. Anybody still think there will be a wildcard? Actually that should be “another wildcard”. I don’t but the market does. I can’t think who they’d want. Last year was clearly (with hindsight) going to be Monica from everything that happened at JH and after. I’m in two minds. last year there was demand for Monica to be reinstated and she clearly didn’t pose a threat long term so it wasn’t a problem. This year, they’ve played their wild card early, and put most of them through which would sort of render the whole wild card thing useless. Plus, if they throw in a wild card every year it sort of defeats the point of having a wild card. That said, the final 12 is severely lacking and there seems to be more resistance this year to the chosen acts than usual. 2013 was the last year there was no wild card if I remember right, but in a year with no novelty acts it didn’t feel as if we needed one. This year we have two, and the naive public are sensing injustice. All the show needs to do is throw Four of Diamonds back in – the public will be slightly appeased and there is precious little threat of them winning. I still think a wildcard is likely, just down to practicalities. If they want a three act final that’s one act out a week with no room for error if someone quits, or is forced to withdraw due to illness or a Frankie Cocozza like situation. Having too many acts isn’t a problem as you can put a double elimination in at any time, but too few means they have a results show to fill without results. If Matt or Emily are the chosen one why have TPTB gone out of their way to bring back a good looking Scottish lad? Surely that’s just an unnecessary risk? I don’t think Emily is in any way a chosen one – if she were, they’d have at least shown us the faintest glimpse of her at boot camp instead of leaving her completely unsighted. The inclusion of Ryan does puzzle me though. Personally, i think the show wants to try and break the curse of the male winner. ryan seems more marketable and has a regional vote but is more vocally limited than Matt. I think Matt is more of a natural vote getter and is capable of delivering a big vocal performance, and will outlast Ryan. I wouldn’t discount another Scherzinger top two though. BC is more stressful than 6cc. They party the night before and, if they retire early instead, all their room-mates will still wake them up late. They may have to wait about all day to sing. And then, unlike 6cc, they sing a song they don’t know with other singers that they don’t know. Maybe she messed up or was over-shadowed by people who were dumped. (Same with the Brooks.) So they thought it was in her interest not to show it. Doesn’t necessarily mean that she’s poor or that she’s unfavoured. Also this year the running time (minus ads) was only just over one hour. Ryan is the bf of Emily so human interest story. 2. it should probably dampen both of their votes, so it would surprise me if either of them were plan A. Young popstars generally have to be seen to be single, boys even more so than girls. Beyond that, I have no idea. This series holds no attraction to me, it’s a very unholy mix of ‘back to basics’ and ‘even more manipulated than ever’. As for 2. I’m not sure about dampen. It’s a feature. Something to remember them more by. And when one goes it might transfer sympathy and votes to the other. In the Little Mix series, being affiliated with Zayn from 1D did them no harm. That said, 1D were already a huge entity and those female fans who creamed over Zayn had four other members to fantastize about instead. It does helpfully give both Emily and Ryan a storyline, which should keep the show in headlines for the first few weeks at least, and producers should be keen to keep them around for that reason. If I were them, I’d be keeping them both around until week 9 and engineer a heart breaking sing off between them both where only one can go through to the final. In years gone by, it seems realistic based on Diana Vickers/Janet Devlin that Emily could get that far (unless she is Abi Alton’d). Ryan is pretty enough and Scottish enough to expect them to be able to keep him going, too. The only caution being that I’m not sure that we’ve ever had an X Factor Love Story played out quite so blatantly as this, and so the effect of it on the voting is open to question. My gut feeling is that it would dilute Ryan’s core young female voters and put those voters off of voting for Emily. I don’t think this would affect the regional vote for either of them. I think Emily would naturally pick up votes if she is allowed to do good performances, as people are clearly fans of the young-quirky-female-with-guitar and do turn out for them. Ryan, on the other hand, vocally seems a bit Lloyd Daniels/Jake Quickenden and may need a lot of help to fetch votes outside of young girls who vote for a pretty face, and Scottish people. To summarise, (sorry for the lengthy post) I think they can both make it through to the second half of the live shows, but both have their restrictions on their abilities or who they could appeal to. The show should give them every asistance as I think they are good for ratings. Does no-one think that Ryan could be a potential TCO and it’s a case of TPTB seeing which one out of him and Matt has the most traction before they decide who to back? The other categories look really weak this year which generally means you get a male winner. I think the boys are equally weak. So couldn’t your idea by extended to a couple of the girls and a couple of the groups as well? They’re already hammering the ‘limited’ word with Brooks Way on The Xtra Factor which suggests the approach they’re going to take with them – I reckon Louis will continue the route of saying ‘you look like popstars’, deliberately omitting the second part of the second that everyone knows, namely ‘you sound like popstars’. Whether this is just to keep them below 5 After Midnight or whether they’re being sacrificed to get Bratavio further I’m not sure. But I think 5 After Midnight are a clear Alpha Group in this point of the proceedings. 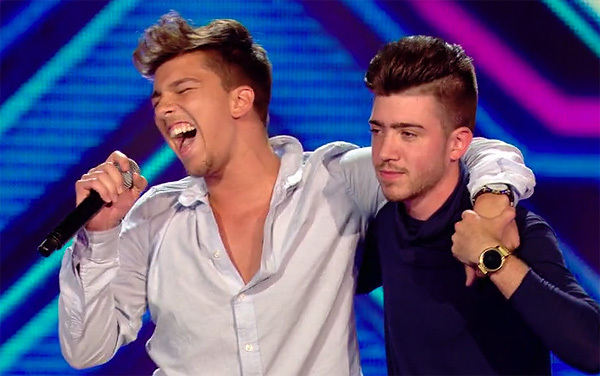 Matt Terry seems to be the very clear Alpha Boy at this stage of the proceedings as well. Ryan’s journey is muddled to say the least, with the omission of his Six Chair Challenge appearance with an unnamed group being omitted from the main show completely, meaning only Xtra Factor viewers… and those at the 6CC itself… know it happened. I’ve already seen on forums and heard from family and friends that they feel it’s unfair he got this far, though they mellow when I tell them he did go through the 6CC. Freddy at least has more of a story within the show and was given the opportunity to sell his job of working in kennels during the audition; he’s got a very photogenic VT up his sleeve should producers wish to use it (pugs anyone???). But he had to sing his audition song to get the audience on side at the 6CC which did present him as something of a one song wonder; I don’t think his Judges House performance did litle to dispel that but I’m aware personal dislike for his tone could be playing a part here. The Girls to me are the most open category. I’m swaying towards Samantha as the Alpha Girl at the moment but all three have the potential to take that position. We have at least seen Gifty at every stage of the competition though she was the ‘girl with the cropped hair’ at Boot Camp as the focus was on Anelisa at the moment in time for an emotional exit. As said, to be blunt, females do not have a good track record on the show if they don’t come across as demure so she has a problem tere unless they nobble every other act which is, of course, possible. Emily does strike me as a Janet figure but I feel she presents as more likeable and has producer support… though Janet had producer support heading into the lives as well. Is it possible that Ryan Lawrie could be to Matt Terry what Lauren Murray was to Louisa Johnson last year? A back up, in case their plan A doesn’t come off? Granted, Lauren probably got a few more weeks out of that than planned, due to her accidentally being amazing after having to change her song in week 3, but they seemed to have cleared every other competitor in the other categories. It seems questionable that they’d include another highly voteable male in the same category unless they were confident they could manage him to the win if Matt doesn’t take off, or manage him out of the competition if project Matt goes as they hope. The tactic served them well last year, I wouldn’t be shocked to see it in place again this year. LPM = last price matched on the Betfair Exchange. I think that the Top 12 is absolutely focused on providing good television – all acts are confident and slick. They have dumped everyone with an “I don’t know how good I am” narrative (Caitlyn, Janet, James, Niall…) in favour of a diverse group who SHOULD nail Saturday Night productions. I’m getting flashbacks to the Little Mix year, when just about EVERYONE was given a fair crack of the whip in Week One. Maybe they all get positive treatment this week and TPTB wait until they see the votes before plotting the series course? I think the big assumption is that Cowell is mentally sound. Seriously. (But I’m not saying he’s totally off his head). Dumping the best singers is not “providing good television”. I wouldn’t go so as far to say the production team are bonkers – but I do think that they may have become slightly detached from reality. Two joke acts out of twelve is one too many to start with, but I think that they are the two most ill conceived joke acts to ever featured on the show – so to put them on together does indeed seem a touch mad. I just can’t see the public buying either of them – they are just so unlikable without being even remotely funny. And what about Robbie Williams – does he really really need to be paid to be Cowell’s puppet – embarrassing? Nearly a quarter of the contestants were joke acts in 2010; I don’t think the proportion of joke acts is overly an issue. I sense they may have an idea who they want to sink a swim – for example, in 2010 Niccolo was dispatched and Diva Fever placed in a holding pattern until they could see whether Wagner would take off with the public while, in 2014, they obviously decided that they could get Stevie to work before the first live show and dispensed of Blonde Electra. I think they’ll want Honey G to fly based on amount of airtime given to her and the fact that the Overs could all be out by Week Four unless they play their hand very carefully. They’ll be hoping to push 5 After Midnight, at the very least, late into the competition so Louis will have an act in the latter stages but Sharon is on very dicey ground at the moment. replying to Fudd above about novelty (won’t let me respond here for some reason) – 2010 didn’t come across as an outrage because Wagner and Diva Fever were wildcarded in, Storm Lee could hold a tune and Nicolo was a good looking young man so nobody felt a sense of injustice. It seems harsh and a mis-step this year because that hasn’t happened yet. To Martin – true, though the outrage was deflected by the Girls category and the departure of Gamu. Whether it would have been directed more at Wagner and co had Katie and Cher been sent home for their faux pas at Judges Houses who knows now. I think the show might be slightly caught out by the support for 4 of Diamonds. Girlbands, as Louis said himself, have historically got short shrift on the show except when Little Mix took off with ET and the producers bludegoned them through to the victory. I wonder whether they expected more of a Jedward reaction, where people grizzled but accepted there was little in way of choice. Honey G was always going to be the controversial pick. It was predictable but what’s worse is choosing Saara and Relley as the other Overs. If it was Peyton, Janet and Honey suddenly the category looks more like the Groups – two possibles and a joke act. In terms of Joke acts the series this one most resembles in my mind is 2014, with Honey playing the Stevie character and Bratovio being Blonde Electra. Despite being a 16 act series they, of course, ditched Blonde Electra at the first opportunity with a colour vomit performance of Kids in America. For that reason I can’t help but think they’ll look to ditch one of the joke acts – leaning towards Brativio at the moment – in the first two weeks. I think they may even repeat 2014 and ditch in week one if they’re confident of pushing the other one through a few weeks. I fancy one of the novelty acts to go this weekend, too. After the backlash this week at the final 12, I can’t imagine either Bratavio or Honey G will have an enormous vote and the show should be looking to reassure viewers that it is at least trying to be fair. I’d run with Honey G personally, i think there’s more mileage in her is-she-real shtick, and there are hints of a back story with her. Rather that than Bratavio and their pretend chicken story. Having thought for a while, my feeling is that the Overs have been nobbled simply because tptb didn’t want an older singer to win and I suspect James could easily have run away with the public vote – a nice looking guy with a sweet character and a good voice. Sam has a touch of the Mary Byrne about her to me and I think they may have feared putting her in too. They want somebody young and at least arguably relevant this year. I agree that two joke acts is already too many and it remains to be seen whether Saara Alto also gets presented in a humorous manner. I agree that we will lose one at an early stage and that it is more likely to be Honey G or Saara than Bratavio. But I don’t think Relley is going to go very far unless she happens to do very well in the first show – we just haven’t seen enough of her in the auditions to leave much of an impression. I still think we are going to get some sort of “surprise” though. I was thinking that it seems a very young Final 12 this year. Obviously the Boys and the Girls categories are going to be aged 16-24, but so are the Groups this year, and usually you get some members of the groups who are in their late 20s. Even the Overs are quite young this time, there isn’t a token 40/50-something contestant like you often get. The oldest finalist this year is Honey G, and she’s still younger than Nicole Scherzinger! I think this has been the oldest judges panel the show has ever had hasn’t it, so perhaps there was a bit of a view of redressing the balance too, in a similar way to them having all male Groups and all female Overs so that the genders aren’t too imbalanced. Does no one reckon that the reason for all this mess is that Ivy was TCO, and they’re frantically trying to re-plan after her unexpected departure? Makes sense to me given how positively she was being presented. No or they’d have made sure her US visa application was OK or had JH in another country. No real problem for someone they wanted. Had Ivy gotten her visa, she would probably be axed at JH anyway. Also Honey G would have been the wildcard instead of Saara, but who will be the final 3? I honestly think that Simon has most fooled this year and is being a lot less predictable than in previous years on purpose to deceive. Caitlyn having TCO all the way through then being dumped bears this out! I believe Matt is not the TCO but is a decoy for someone who we have probably almost overlooked as yet! One thing for sure the final 10 serious acts have in the main been chosen for marketability! For example James is good but he’s the typical sort of contestant who stacks up votes during the show but then goes on to do very little just like Sam Bailey, Andrea Faustini, Che Chesterman etc etc… ! Saara Alto’s closest comparison must be to Kitty Brucknell surely? Unless she manages to transform herself into a Ruth Lorenzo someway through the series. I’m also tipping Bratavio to go in the first show, likely against Relley C, but potentially against a Boy or Girl unless they manage to nobble Relley comprehensively. We haven’t seen her much this year, but as a big-voiced black woman we run the risk of her outsinging a large number of the other contestants in early days and having to be dragged down. A comparison I would draw to her is TreyC from the Matt/Rebecca/Cher year – they were nobbling her for a while but she hung in for a few weeks just on virtue of being one of the best singers onstage. I also wouldn’t discount a Bratavio/Honey G bottom two in week one. I think in this case they would keep Honey. I’ve had the exact same thoughts. With the uproar there has been in response to the final 12 I wouldn’t be shocked to see the two novelty acts down there. In the likely event that Relley C is bottom two against one of the novelty acts, id expect them to keep her just to try and save some face. 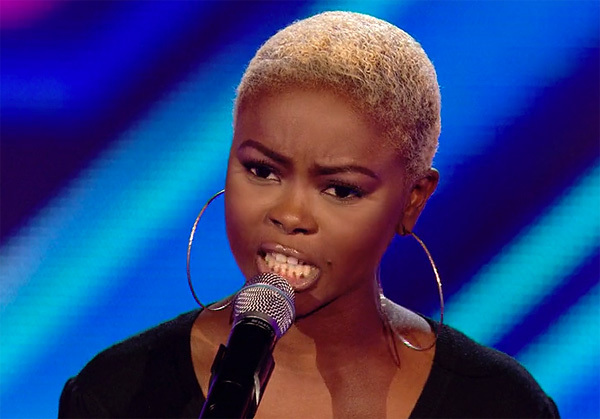 I think Kiera Weathers was of similar vocal skill to Relley last year and she was kneecapped with restrictive song choices. If Relley is given a song she can really belt, she may stand a fighting chance but given a middling tempo track with no vocal showcase like ‘Crying for no Reason’, I expect she will be in trouble. Really? I’d have said novelty act gets saved against anyone in week one, a la Rylan vs Carolynne a few years back. I’d agree with Phil, if Relley C is bottom against either of the joke acts, particularly Honey G, they’ll boot Relley – she’s more disposable and easier to let go given her lack of screen time to date. I think relley goes against honey g, but might stay against bratavio. I’m expecting her bottom two against Brattavio, in which case I think she’d stay. Against Honey G, I think she’d go. Rylan was the sole novelty act his year and so the hand was forced to save him. As Fudd says above, in years with several novelty acts it’s not unusual for them to leave in the early weeks like Bupsi, Diva Fever, Nicolo Festa etc. Where on earth is the elimination market for the weekend? Not one bookie appears to have this up yet. Perplexing. Have they been stung on this in the past with announcements of e.g. wild cards part way through / late in the week? Three firms are up Ladbrokes Bet 365 and Skybet all offer similar odds 9/4 RelleyC 9/4 Bratavia interestingly Ladbrokes also have a bottom 2 market up. Admittedly I don’t start watching properly until the Live Shows, but from what I’ve seen, the show doesn’t seem very well planned and thought out this year. At the moment it looks like either those making the show don’t really care that much this time around, or they are being very fickle and indecisive. Quick interruption for the benefit of Eurovision betters – BBC confirm another National Final next year. Submissions now open. Caitlyn and Christian wildcards for sure. Caitlyn just retweeted a pic of her and Christian together with shiny name badges on a tweet talking about wildcards. They are both dressed in their original audition clothes BUT they auditioned in different places and I don’t remember the name badges at the audition stage. Also, Caitlyn has different nails compared to her auition. I reckon they’re both in a studio somewhere rehearsing their comeback songs. Why aren’t you smashing into that Caitlyn 65 and 85 on the Betfair Exchange then? I would be if I was “sure”. It would be insane value. I got on a lot earlier when she was still at 3 figure odds. I can’t think of another reason why the pair of them would re-create their audition looks for a photograph though, can you? Even if they are preparing for wildcard comebacks, we don’t know if they’d both be taken or the public would vote for one of them to be brought back (which further implies a choice between the other two categories too).